Accounting staff is responsible for the financial activity report in writing other than that in this position is required to understand the issues of taxation in the country for corporate taxation statements made by accounting staff. 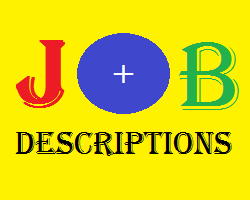 This role is mainly handling accounts receivable, but also handling accounts payable and general accounting processes. Belum ada Komentar untuk "Jobs Description of Accounting Staff"